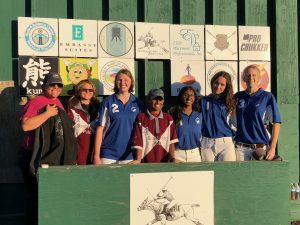 South Bay Polo has developed, with the support of the USPA, an introduction to Polo Program specially designed for middle school and high school students. This Interscholastic Program develops character, leadership, confidence and a sense of community in youth through a dynamic lesson program and tournament schedule. 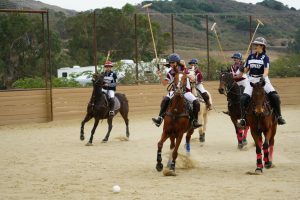 It focuses on teaching the care of horses and equipment, sportsmanship, riding, swing mechanics, strategy and team play. Many introductory clinics, such as the ones at South Bay Polo, are being organized to give kids a taste of “The Sport of Kings”. They represent the next generation of Polo Players. 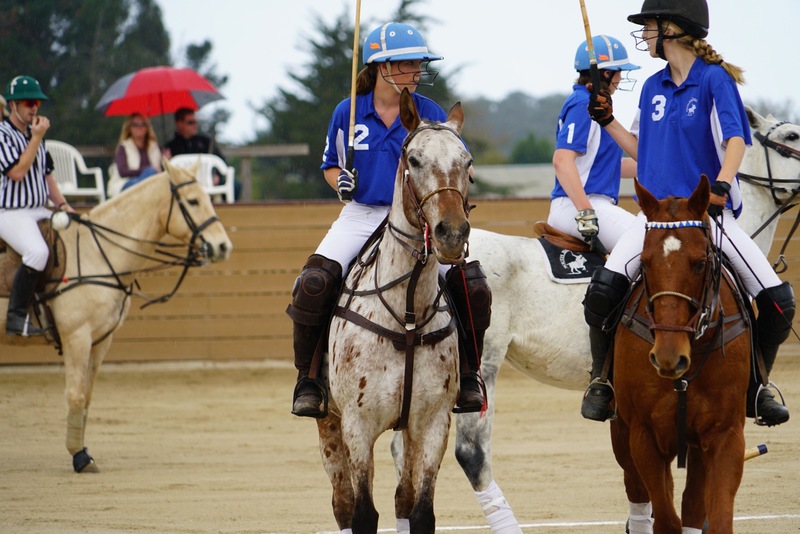 South Bay Polo’s Interscholastic Team has 8 players this year as we enter our third Interscholastic season. We are really excited to watch our teams compete for the Western Regional Title in February and March! Until then we will be practicing and scrimmaging local teams. For those interested in trying the sport out, we have practices all week long. 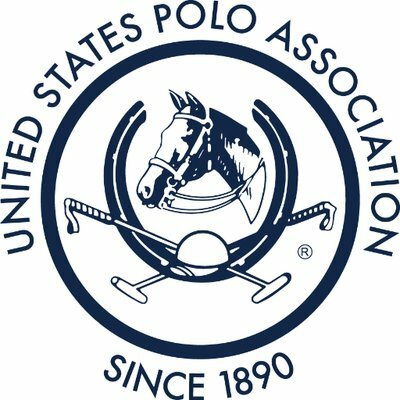 Polo is also part of the Letter Program and the USPA offers tuition grants for players moving onto college teams! It always looks good to have polo on your college applications too! We also offer Pony Clubs or groups consisting of at least 6 participants will recived a 50% discount on an introductory Polo Clinic. 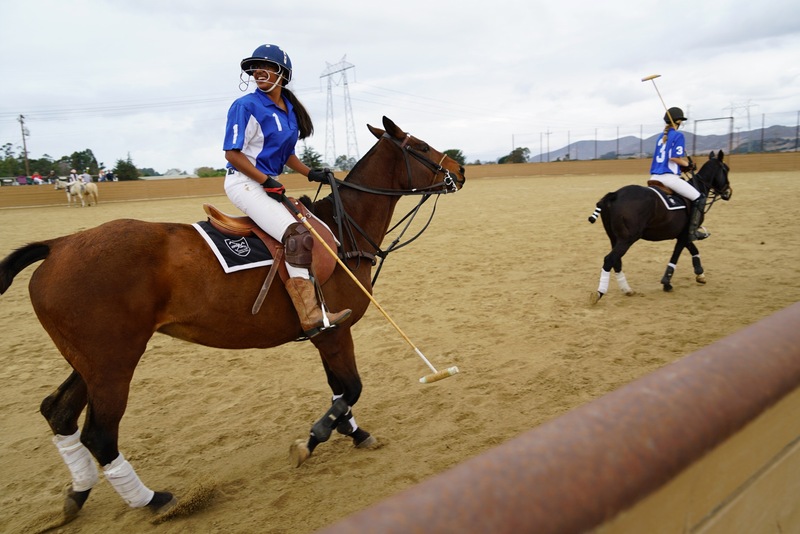 This clinic will include tacking for polo, riding for polo, and swing basics. You will get on a horse, learn proper mallet position, and have the ability to “swing away,” all while be safely guided by a professional polo player and seasoned polo pony. You will even get to play your first game in your first lesson!!! This is a great way for you to experience polo in a safe and controlled atmosphere. A fully tacked horse will be provided as well as mallets. Just bring your boots and riding helmet.